Among city buildings, there is a network of spaces that create and strengthen connections at different levels of influence. In a book, they would be between the lines: the implicit meaning between concrete. Public spaces, which fill the urban gaps with life, are directly associated with the construction of what we call a city and influence the relationships that are created within them. “When we refer to the streets and other public spaces of a city, we are actually talking about the city’s own identity. It is in these spaces that human exchanges and relationships, the diversity of use and the vocation of each place and the conflicts and contradictions of society are manifested,” explains Lara Caccia, Urban Development Specialist at WRI Brasil Cidades Sustentáveis, in her dissertation Urban mobility: public policies and the appropriation of space in Brazilian cities. 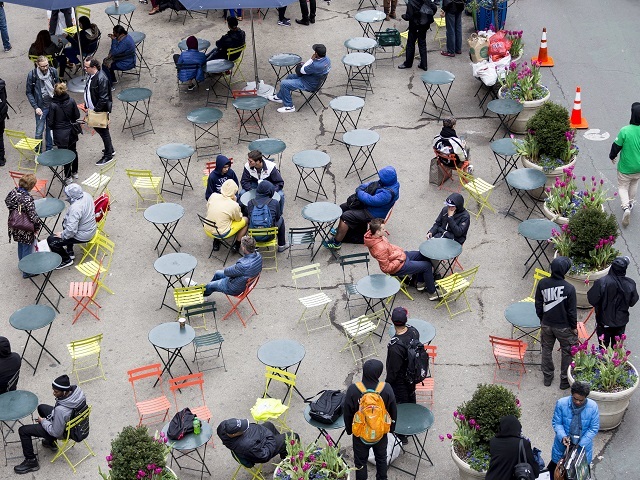 Public areas shape community ties in neighborhoods. They are places of encounter and can facilitate political mobilization, stimulate actions and help prevent crime. They are environments for interaction and exchange of ideas that impact the quality of the urban environment. While not considered “public spaces,” cafes, bookstores and bars have similar impacts. Public spaces also present health benefits, both physical and mental: people feel better and tend to be more active in attractive, public spaces. It is possible to go even deeper and relate the presence and planning of public spaces with democratic values. The culture of a place, its structure and social hierarchy reflect the way common spaces are planned, controlled and used. As Ben Rogers points out, the more diverse and lively urban spaces are, the more equal, prosperous and democratic society becomes. This assertion is based on the very definition of public space: an open, freely accessible and democratic environment. A good public space is one that reflects diversity and encourages people to live together effortlessly, creating the necessary conditions for permanence, which invites people to be on the street. It is the vitality of spaces that attracts people. What guarantees this vitality is the possibility of enjoying urban spaces in various ways. Project for Public Spaces (PPS), a non-profit organization dedicated to helping people create and maintain public spaces. PPS discusses The Power of 10: a good public space needs to present at least ten possibilities. This includes different things people can do in it, and ten reasons to be there. Without the ten things, these areas become places of passage where people do not want to be for the simple fact that there is nothing that makes them stay. “The existence of quality and usable public spaces, with greater urban vitality, will increase the perception of security and democratization of these spaces,” says Lara. It is a two-way street: people will be on the street if they feel safe and the street will be a safer environment the more people use them. Below, we present ten principles that should be considered for a high-quality public space. The elements relate with each other – active facades and constructions on the human scale, for example, are directly related to the promotion of the local economy. It is the combination between them that will ensure accessible, equitable and safe spaces for people. 1. Diversity of uses: Blending residential, office and commercial areas, such as bars, restaurants, cafes and local commerce, attracts people and makes the environment safer and friendlier. The diversity of uses generates external activities that contribute to the safety of spaces: more people on the streets helps to inhibit crime. This diversity, however, needs to cover all times of day. If the spaces are inviting and only busy during the day, they will still be unsafe places at night. Planning public spaces in a way that encourages the coexistence and the permanence of people is also a way of investing in security. 2. Active facades: Connection between the ground level of the buildings, the sidewalk and the street contributes to safety and the attractiveness of urban design. Visually more interesting streets are used more often by people. In addition, this relationship influences people’s perception of the city and how they are to use it: Jane Jacobs says that it is mainly streets and sidewalks that indicate how public space is perceived and used. 3. Social dimension and urban vitality: As an aggregator of people, public space has influence over the social dimension. 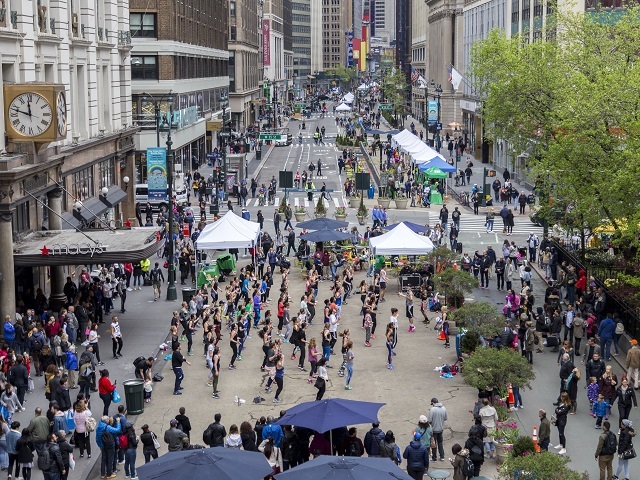 Wide, accessible streets, squares, parks, sidewalks, bike paths and urban furniture stimulate interaction between people and the environment, generate a positive use of space and increase urban vitality. 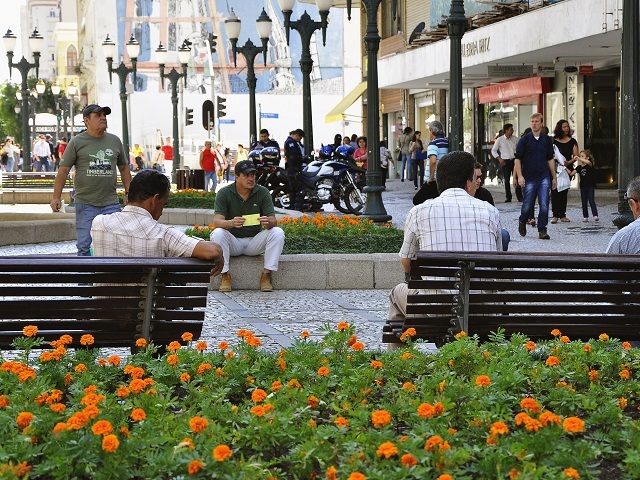 In addition to focusing on high-denisty, urban areas, it is crucial to consider the peripheries, guaranteeing quality public spaces to the population that does not live in the city center. 4. Human scale: High-scale, high-denisty construction can negatively affect people’s health. In his field studies, Jan Gehl noted that people tend to walk faster when passing empty or inactive areas, in contrast to the slower, quieter pace of walking in livelier, more active environments. Human-scale constructions have a positive effect on people’s perceptions of public spaces: they feel that they were considered in the planning process of that space. 5. Lighting: Efficient and people-oriented lighting facilitates the occupancy of public spaces at night, enhancing safety. When installed on the pedestrian and cyclist scale, public lighting creates the necessary conditions to move more safely when there is no natural light. 6. Stimulating the local economy: Quality public spaces not only benefit people by offering leisure and living areas, but they also have the potential to boost the local economy. The safe and attractive conditions foster walking and cycling, leading to easy access of local commerce. 7. Local identity: Public spaces should be planned for the small businesses that characterize the neighborhood. Large enterprises (such as supermarkets or other chain companies) can contribute to the economy in general, but they have little participation in the scale of the neighborhood. Small businesses and ventures have significant long-term impacts, as well as add to the personality and identity of the place. When planning a public space it is necessary to take into account the social dynamics and cultural specificities of the area, in order to generate a strong relationship between people and place. 8. Complete streets: Wherever possible, public areas should be thought of following the principles of Complete Streets and “shared spaces.” The Complete Streets concept defines streets designed to ensure the safe circulation of all users—pedestrians, cyclists, drivers and users of public transport. Sidewalks in good condition, infrastructure for bicycles, street furniture and signage for all users are among the elements that can compose a complete street. 9. Green areas: In addition to contributing to air quality and helping to ease temperatures in the summer, vegetation has the power to humanize cities by attracting people to outdoor activities. As cities become denser, access to green public spaces will become even more important as urban forestation can lower people’s stress levels and enhance well-being in cities. In addition, trees, plants and flowerbeds are strategic for urban drainage and maintenance of biodiversity. 10. 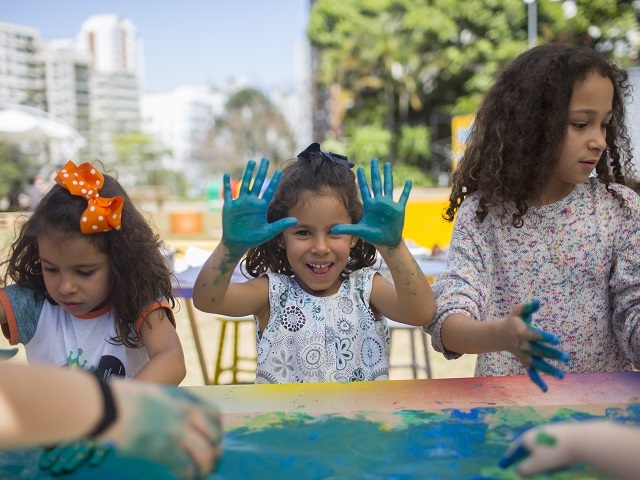 Social participation: Involving residents in the design, planning and administration of urban public spaces or the neighborhoods in which they live is essential to maintain the quality of these spaces. Public spaces have different uses and meanings in each neighborhood and community. Resident involvement ensures that the nature and use of public space will meet the community’s distinct needs. If a space does not reflect the demands and desires of the local population, it will not be used or maintained. 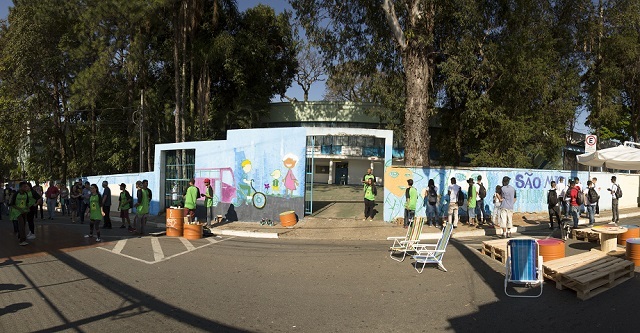 Social participation is a central element for the construction of safer, equitable public areas. The way we live in cities is reconfigured every day, through the transformation of society and the emergence of new policies, technologies and alternative transportation options. Urbanization, densification and high motorization rates create planning challenges and instigate cities to think about new development models. In the midst of constant transformation, however, the importance of public spaces for quality of life remains constant. They continue to be spaces for exchange, coexistence and meetings. They continue to be vital for urban well-being. Beyond the walls that surround us, on the street is where life happens. This text was adapted from the article “In Defense of the Street: 10 Principles for Public Spaces,” by Ben Rogers, published in the compilation “Making good – shaping places for people,” produced by the Center for London and available here. Laura Azeredo and Lara Caccia contributed to this post.